The reviewer has been compensated in the form of a Best Buy Gift Card and/or received the product/service at a reduced price or for free. All opinions are 100% my own and may differ from yours. I will only endorse companies, products and services that I believe, based on my own experiences, are worthy of endorsement. Mother’s Day is in two weeks. I have to admit I fret over this special day, especially for my own Mom. Mainly because I have not physically spent this day with her in years. And this year won’t be any different, although I will be able to be with her the week before this year. Since my son started school I only see her 3 times a year. This year, though, I’ve been visiting her at least once a month, so I will at least get to be with her the month of Mother’s Day. It really means a lot to me, too. As for myself, I really don’t ask for anything for Mother’s Day. It thrills me to get a card from my son and to receive a lot of hugs from him. My husband also makes sure that the day is about me. They pamper me for sure. Fitness Fanatic – she can run a mile as fast as she can pack a lunch. Foodie – she can cook a celebrity chef under the table. On-The-Go – she closed a deal, signed a new client and made it to soccer by 5:00. Adventurer – she’s got the traveling bug; always looking for a great family adventure. As far as gifts go, I’d say that both my Mom and I are more the “foodie” types. 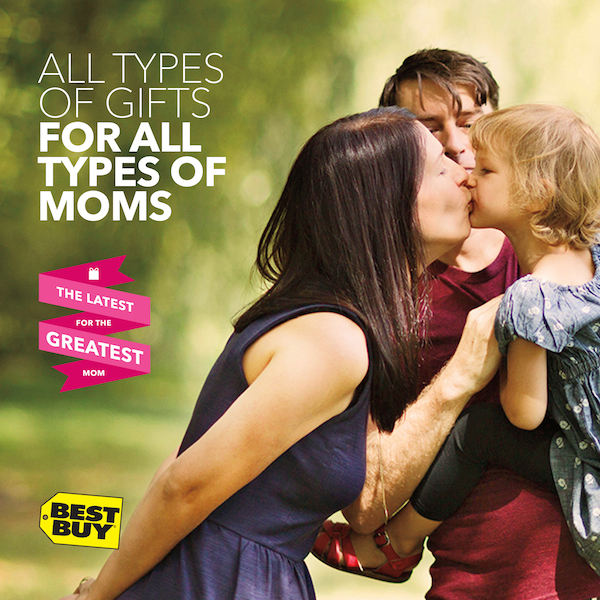 I love how Best Buy has gifts for moms in categories with a great selection to choose from that are under $100 under the Best Buy Gift Center. So I can look under the Foodie section and see that a Ninja Blender would be a great option for my Mom. And I wouldn’t mind one for myself. Hint, hint. Yes, a Ninja – Professional 72-oz. Blender would be a great gift for a foodie mom and it’s under $100. I actually fall into all the categories above to some extent. I am trying to get healthy and would appreciate a gift from the ‘Fitness Fanatic’ category. In fact, I have the Misfit Shine check out my review. Good news, Best Buy is offering a 20% discount off Mistfit Shine products! I am definitely an ‘On-the-Go’ mom. What mom isn’t? The ‘mophie – Juice Pack Air External Battery Case for the Apple iPhone 5 would be a big help to me. I like to fancy myself an ‘Adventurer’, too. I definitely plan on doing more traveling when my husband and I retire. The Canon – SELPHY CP910 Wireless Compact Photo Printer would make it nice to travel with. You could print out all those beautiful photos of your travels, as you travel. Lastly, the ‘Entertainer’. This is a category I aspire to fit in. I honestly don’t do a lot of entertaining, but would like to. A Frigidaire – 8-Bottle Wine Cellar might make entertaining nicer. I feel good about shopping for Mother’s Day at Best Buy, especially with their Low-Price Guarantee. If you find a lower price, they will match it. 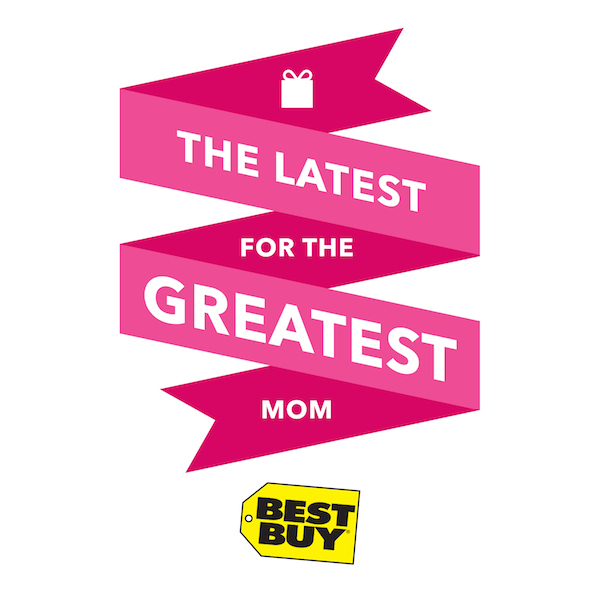 If you want to order Mom a special gift from Best Buy, they also offer ‘Free Shipping’ on orders $35+. As you can see, Best Buy has all types of gifts for all types of Moms. Which category do you fall into? And what would you like for Mother’s Day this year? Those are some great gift ideas for Mother’s Day! I buy a lot of my tech & kitchen stuff from Best Buy. I’m definitely a foodie mom as I have to have every nifty device in my kitchen. Also, I’d love to have a Breville Juicer for Mother’s Day, that would be awesome! I would love to have a lot of gifts on this list, but the Nikon waterproof camera would be at the top of my list. My mom is a total On-the-Go Mom! I think I want things from every list, but the Adventure List is definitely the one for me. Great suggestions! I would definitely consider myself a fitness mom and would love a pair of Beats By Dre headphones for Mother’s Day! I’d love the Mega Kitchen System. I fall into a few of the listed categories. Best Buy is a one stop shop! Love, love, love them! Great ideas Donna, I love all of the gift ideas that you mentioned. Looks like some great gift idea’s for sure!!!! Thanks for the idea’s!